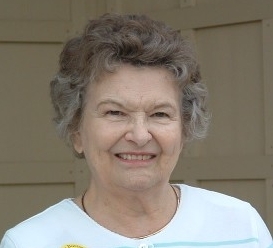 Florence M. "Peggy" Messerli, age 88, of Sioux Falls passed away peacefully on February 5, 2012 at Dougherty Hospice House. Visitation is scheduled for Wednesday, February 8 from 5:00-8:00 PM at Barnett-Lewis Funeral Home in Sioux Falls. Mass of Christian burial will be 10:30 AM Thursday, February 9 at St. Mary's Catholic Church in Sioux Falls. Burial will take place in the Black Hills National Cemetery. Florence Nowack was born October 23, 1923 in Reading, PA to Joseph and Helen Nowack. She attended the Reading Hospital School of Nursing, graduating in April 1945. After graduation Florence joined the Army Nurse Corps and was stationed in the Philippines and Japan. She married 2nd Lt. Lester A. Sprinkle, Jr. in Yokohama, Japan on June 19, 1946. He died in August 1949. She married Robert V. Messerli on July 9, 1954 at Ft. Benning, GA. The couple briefly lived in Colorado Springs, CO before moving to Rapid City in 1957. Florence was a nurse at the Rapid City Regional Hospital and the Rapid City Medical Center until her retirement in 1988. She moved to Sioux Falls in 1999. Florence was a skilled artist. She also enjoyed growing roses, playing bridge and listening to audio books. Florence is survived by her daughter, Dr. Sandra (Dale) Watkins of Escondido, CA; son Gary (Mary) Messerli of Sioux Falls; son Mark Messerli of Rapid City and son Rob (Jo Ellen) Messerli of Prairie Village, KS; 8 grandchildren; 9 great grandchildren and 2 great-great grandchildren.